Awarded Editor's Choice from 500px on October 30, 2013. 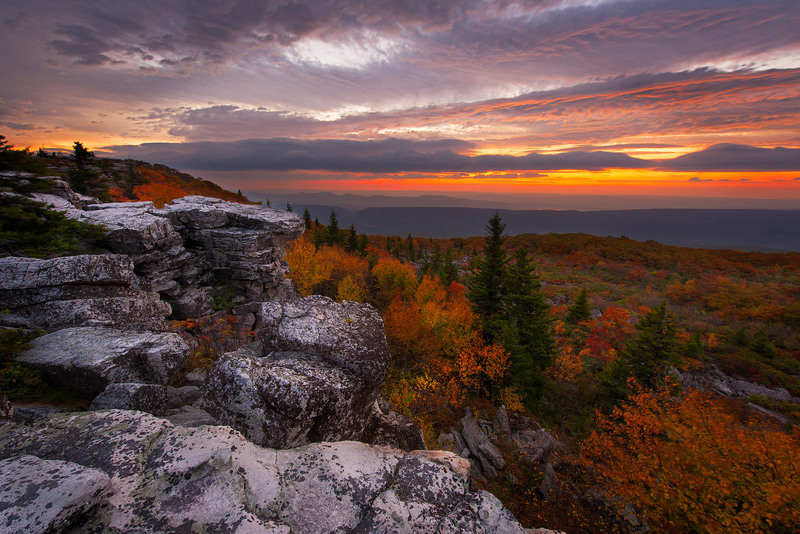 Dolly Sods is one of the best kept secret on the east coast and maybe the best place to catch a beautiful sunrise! The fall season brings many photographers out of the woods, but not as nearly as you would think for such an awesome place. Word is getting around though and if your a photographer who hasn't heard about it, then here is your chance to see it!